Carden Memorial School’s mission is to help children find joy by improving the mind, developing the heart, and lifting others. Improving the Mind: We hold our students to a high academic standard. Our proven method incorporates small group teaching and includes classic literature, writing, history, math, and science. Carden students clearly and confidently express their own ideas in all areas of learning. Our strong liberal arts program refines self-expression through the arts, writing, and speaking. Developing the Heart: As students experience the beautiful and good in the world, they find joy. Grounded in gratitude and truth, we reverence God and celebrate America’s heritage. Lifting Others: We cultivate well-rounded and dignified students who find happiness in doing for others. As they master self, students learn accountability, and develop kindness, respect, and esteem for their fellow beings. Through a classical education, Carden students experience joy—the joy of childhood, the joy of wonder and beauty, and the joy of individual creativity. The knowledge, skills, and moral habits they learn at Carden enable them to lead productive, happy lives in the service of others. The purpose of education is to teach individuals to think and to develop good judgment. Rely on your own ideals. Let your conscience be your guide. Heed its evaluation of your acts. Do not try to smother it. Follow the path that will lead you to being a better person, one for whom you will have respect and one with whom you will be satisfied to live your whole life long. 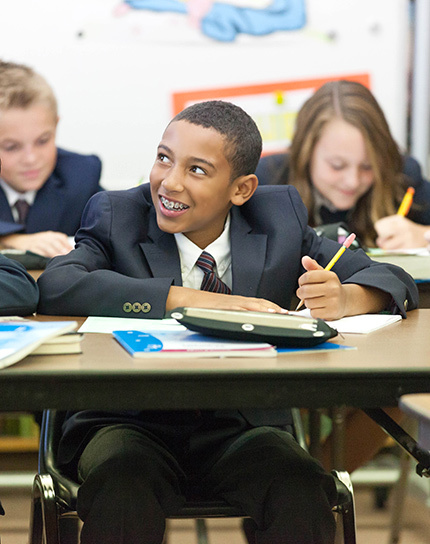 Carden Memorial School is a non-denominational Christian private school located in Salt Lake City, Utah. We educate students in preschool (Junior Kindergarten) through 8th grade.